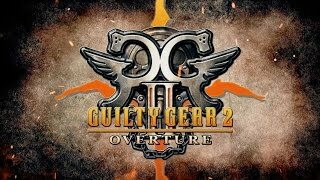 A unique blend of high-speed action and strategy set in the Guilty Gear Universe. In the far future, humanity succeeded in developing an endless energy called the divine power. But although they were able to obtain wisdom, mankind could not cast aside their foolishness. Tension among the major powers led to the creation of biological weapons that were based on that power – Gears. Justice, the only Gear able to command the legions of biological weapons, went berserk and declared war on all of humanity. That was the beginning of the worst war in history – The Crusades. In response, mankind formed an order of elite knights, and with their participation, Justice was defeated. With her fall, all Gears ceased to function and entered a dormant state. The long-lasted Crusades came to an end, and it seemed like mankind restored peace. However, true history has yet to reveal itself. Choose between 6 different masters fully equipped with their own unique and deadly arsenal of skills and attacks! Battle through the extensive Campaign mode to hone your tactics then take your skills online.